Italy is known for its landscapes, traditions, history, artistic legacy and its permanent influence on high culture. Many tourists come in search of fine art, others to explore the extraordinary countryside. Epicures and wine buffs descend on Italy to enjoy the simple yet wonderful cuisine and wine. Walkers enjoy the mountain paths, cyclists the rolling hills, summer vacationers the sea coast and islands. Students and other tourists come to learn the beautiful Italian language and culture. Florence’s Duomo, the skyline during the sunset in Rome, Piazza San Marco in Venice, the remarkable scenery of the Italian Lakes, and the breathtaking view of the Amalfi Coast will remain engraved in your memory, while the superb shopping will provide occasional (and enjoyable) distraction from all that great sightseeing! 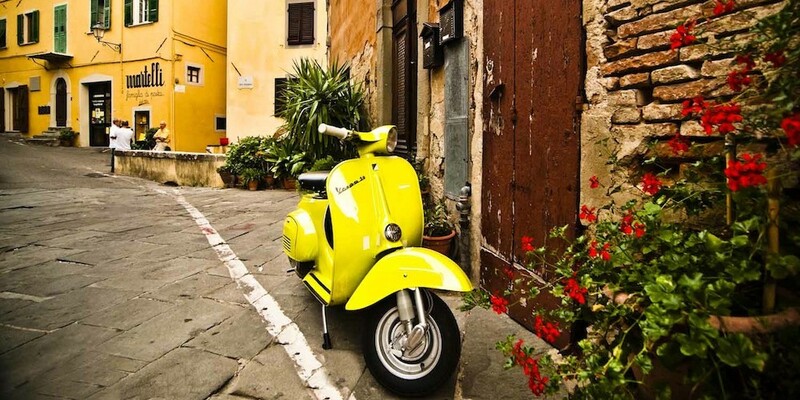 Italian Wedding Designer’s offer includes ‘turnkey’ tours across Italy, including full-day tours, half-day walking tours or one-week holiday tours discovering the real Italian life. We can plan many unique tours and experiences for you and your guests, from a Wine tasting tour, romantic Cruises on the Arno (the river that links Pisa to Florence), sightseeing in the many ancient Italian cities, distinctive horse and carriage rides, tours of the Tuscan hills in Vespa, relaxing hot spring and spa experience. Everything you can think of is probably possible. Our team will do everything to satisfy your requests and make your Wedding a full immersion into the Italian world, a period you will never forget.